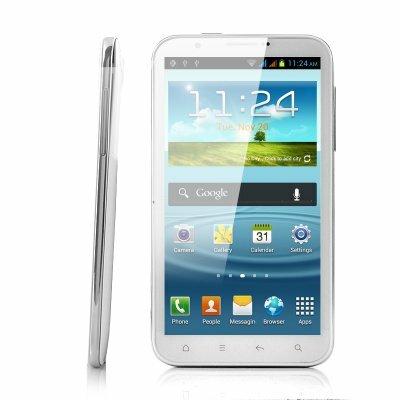 Successfully Added Android 4.0 3G Phone - 1GHz Dual Core CPU, 6 Inch, GSM+WCDMA to your Shopping Cart. 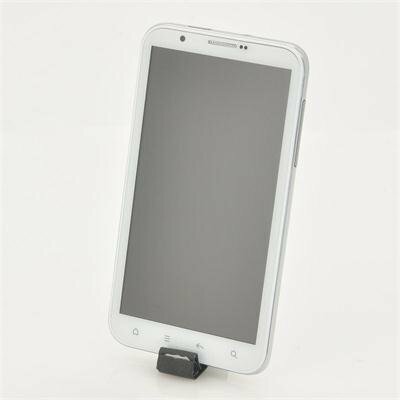 Android 4.0 3G phone with dual core 1GHz CPU and a large 6 Inch screen is an amazing portable phone and tablet hybrid device! This Android 4.0 phone combines the communication capabilities of a cell phone with the fun and entertainment features of a small tablet PC. Now with a dual core 1GHz CPU, this model far exceeds your day to day processing speed needs. So, if you thought a single 1GHz CPU was fast, then check this dual core out and literally feel and see the difference! This handy cell phone sits comfortably in your hands, featuring a large 6 Inch display of pure large screen entertainment, as well as giving you the power to do all the things that a tablet offers, such as gaming on a large display, take advantage of the Skype app to view family and friends in full screen clarity or seamlessly browse the internet or other apps in fine clear quality. Then, when you are done, slip it into your pocket or bag and you won't even notice it's there! Additionally, this Android 4.0 phone hybrid comes with a useful built in GPS navigation system, that will find you the fastest and most direct route to your destination, wherever you are. And with an incredible 5 megapixel rear facing camera you will be able to record videos and take pictures all day long and view them on a clear 854x480 resolution LCD screen. Buy this Android 4.0 dual core phone with GPS now and begin making some extra money or get one for your own at an unbeatable price! Order now and we'll ship it out from our warehouse tomorrow. From your reliable source for latest Android smartphones and devices, Chinavasion. Just awesome phone same with the "samsung galaxy note" but with excelent price!! !